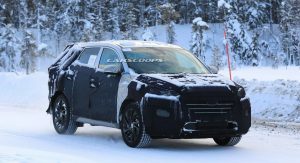 A convoy of 2019 Hyundai Tucson prototypes have been spied undergoing cold weather testing. 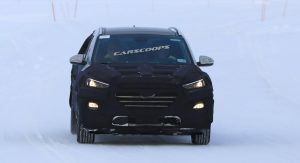 Dressed in heavy padding, the facelifted model appears to adopt a revised grille and updated headlights. 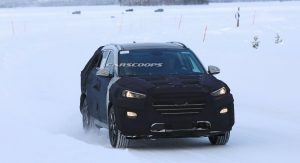 We can also expect a new front bumper but the changes are hidden by camouflage. 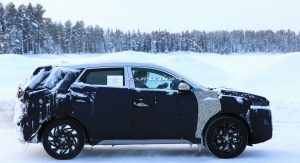 The rear should see some minor revisions as well but Hyundai has done a pretty good job at keeping us guessing. 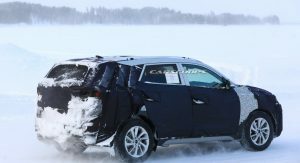 Given this is simply a facelift, we can expect the usual styling tweaks including new taillights and possibly a modified bumper. 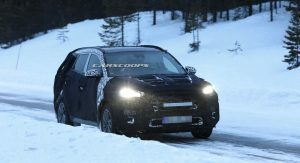 While the exterior styling changes are expected to be minor, the photos reveal some significant updates in the cabin. 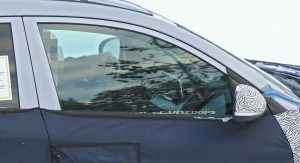 As you can see, the crossover has been equipped with an all-new dashboard and a freestanding infotainment system which is expected to be similar to the one used in the i30. 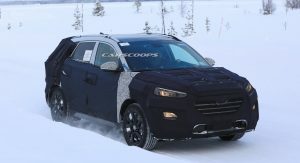 The styling changes will likely continue elsewhere as we wouldn’t be surprised if Hyundai adds updated switchgear and new driver assistance systems. 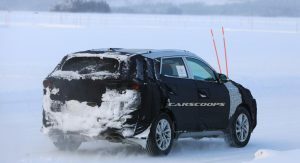 Engine options are expected to carryover but they could receive some minor modifications for improved performance and fuel-efficiency. 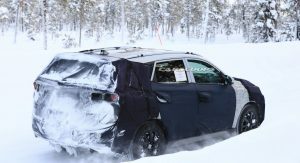 Regardless of what happens, the current model offers a 2.0-liter four-cylinder with 164 hp (122 kW) and 151 lb-ft (204 Nm) of torque as well as a turbocharged 1.6-liter four-cylinder developing 175 hp (130 kW) and 195 lb-ft (264 Nm) of torque. 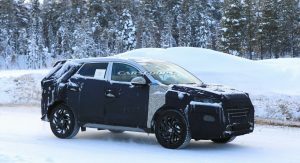 Later down the road, Hyundai could introduce a high-performance Tucson N. Details are limited but Auto Express claims Hyundai’s Byung Kwon Rhim recently confirmed the news at the launch of the all-new Santa Fe. 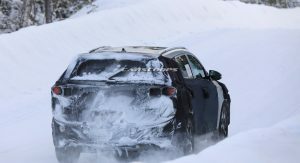 Speculation suggests the crossover could debut as early as next year and use the turbocharged 2.0-liter four-cylinder engine that resides in the i30 N. The engine produces up to 271 hp (202 kW) and 278 lb-ft (378 Nm) of torque. 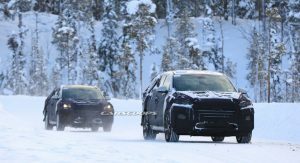 Ford Edge ST and Cupra Ateca will have some competition. 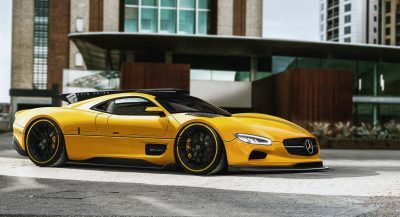 That and maybe trying to amortize the development cost of that power-train and chassis tune. 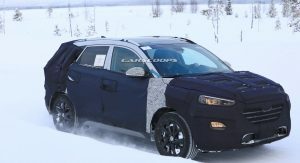 Sounds like they’re putting a similar package in several different cars all basically on the same platform: i30 hatch, i30 fast back, Veloster and now Tucson. 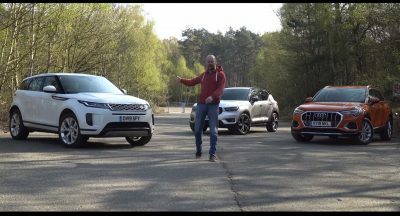 Could be, but adapting the powertrain requires calibration and set up, it’s not exactly cheap if you want to create some good cars. 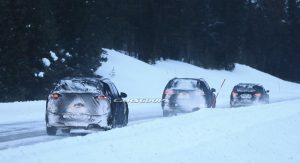 For the Veloster, I think it’s because US didn’t have i30 and Hyundai want to boost up their profile, Hopefully it will drive like i30 and not some cut and paste job. 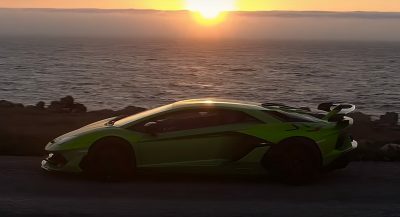 Next PostNext 2018 Yenko/SC Chevrolet Silverado By SVE Puts Out An Insane 800HP!